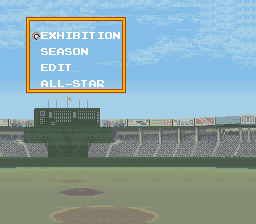 Culture Brain's Ultra Baseball (Baseball Simulator in the US) series is a unique baseball statistical simulator. 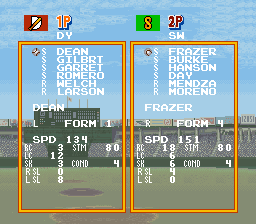 Players have the option to create their own Team, choose manager personalities, uniforms and stats. 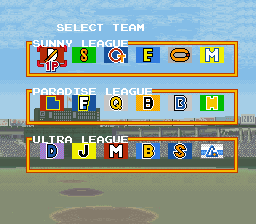 Additionally players have the unique option of using the Ultra League where players have higher stats and super Ultra powers! 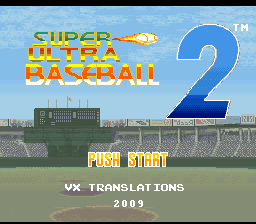 Super Ultra Baseball 2 is the fourth game released in the Ultra Baseball Series. 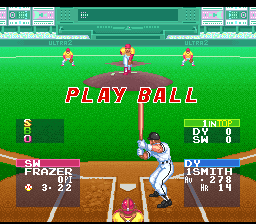 The first two games were released in the US under the titles of 2"Baseball Simulator 1,0002". 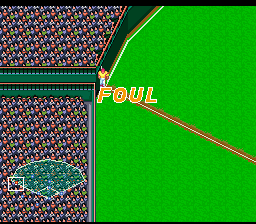 Culture Brain planned to release this game as 2"Super Baseball Simulator 1,000 2" but later canceled the release. Please see the SUBB2 Manual for full instructions. 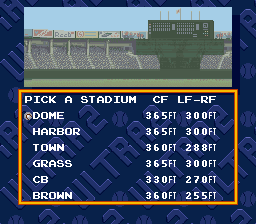 Some text is cut short or abbreviated due to space restrictions. If we missed something or broke something please let us know or it will never be fixed! 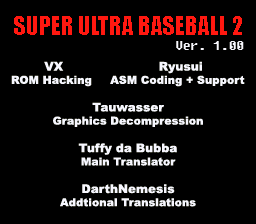 Special thanks to RHDN and ZD for hosting the relevant tools for ROM hacking, as well as the patch. 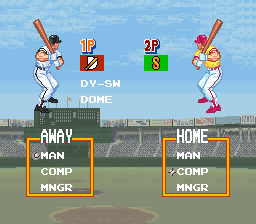 JRB & EJH - Baseball Terminolgy, and Editing.